MADISON/RIVERGATE, Tenn. — With construction nearing a close, the newest Zaxby’s restaurant in the Madison/Rivergate area is coming soon to 2228 Gallatin Pike N. The fast-casual restaurant is a Southeast favorite for chicken fingers and wings, and licensees Bonnie Ryan and Lee Oliver plan to open the new location later next month. 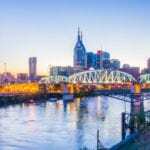 Zaxby’s currently operates in 16 states — Alabama, Arkansas, Florida, Georgia, Indiana, Kentucky, Louisiana, Mississippi, Missouri, North Carolina, Oklahoma, South Carolina, Tennessee, Texas, Utah and Virginia. 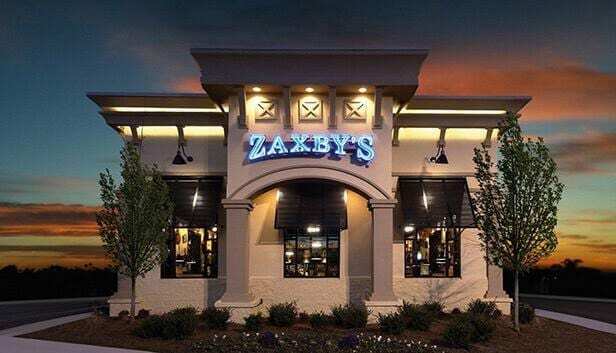 With seating for 80, the new 3,800-square-foot location will reflect Zaxby’s prototype design that rolled out last year. Highlighting the brand’s commitment to its guests’ overall dining experience, the farmhouse design offers guests a high-end, fast-casual experience with redesigned exteriors, dining areas and kitchen. Point-of-sale and other improvements will further enhance food quality and increase speed of service. “For this location, we hope to hire 40 team members from the local community,” Oliver says. “We believe so strongly in the Zaxby’s brand and want our employees to share in that passion and commitment.” Candidates can apply online at myzaxbys.com. As an alternative to fast food, Zaxby’s offers prepared-at-order chicken fingers, wings, sandwiches and salads. Zaxby’s most popular items are its hand-breaded Chicken Fingerz and Traditional or Boneless Wings, smothered in a choice of nine sauces with names like Wimpy, Tongue Torch, Nuclear and Insane. The menu also offers innovative Zappetizers like Tater Chips, Spicy Fried Mushrooms and Fried White Cheddar Bites, as well as a variety of Party Platterz perfect for any family gathering or special occasion. Zaxby’s guests will enjoy the Coca-Cola Company’s proprietary drink fountain, Coca-Cola Freestyle. The sleek, stylish fountain is touchscreen operated, enabling guests to select from more than 100 regular and low-calorie brands — including many varieties of waters, sports drinks, lemonades and sparkling beverages that were not available in the U.S. prior to the arrival of Coca-Cola Freestyle. Zaxby’s also offers four salads, or Zalads: The House, The Blue, The Caesar and its newest addition, The Cobb. All of Zaxby’s Zalads are prepared with chicken, three kinds of lettuce, interesting ingredients — such as French-fried onions — fresh veggies and juicy tomatoes, and are larger than most salads served elsewhere. Zalads are assembled at the time the order is placed, versus being pre-made and stored in a cooler. Additionally, Zaxby’s offers premium milkshakes, including Birthday Cake, Banana Pudding and Chocolate Cookie. They are rich and creamy, hand-blended, and are topped with whipped cream. Next articleIs Your Dinner Bad for the Environment?